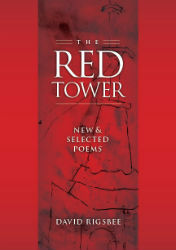 For more than twenty years I have been reading the poems of Christopher Howell and David Rigsbee, so the appearance of their handsomely produced and thoughtfully edited volumes of new and selected poems – Dreamless and Possible, by Christopher Howell, and The Red Tower, by David Rigsbee – has been more delight than revelation. They are very different poets, with very different gifts and ways of engaging both language and the world – the one lyrical, metaphorical, intense, heir to the poets of the deep image; the other more meditative, allegorical, philosophical, whose ancestry one would most likely trace back to Stevens, among others. There is also much they share, and at the moment my reading is shaped by a recent collection of essays by Alessandro Baricco, I Barbari, originally published in the Italian newspaper La Repubblica. The barbarians of his title are not invading others, but are us, and the marks of our barbarity are a culture increasingly lacking in depth and transcendence, in quality and interiority. Baricco finds barbarity in the superficiality of the Google model of culture as something to be surfed rather than immersed in, as well as in the decline in quality of what gets published that follows the trend of what the public is willing to read. He sees it also in the soullessness of the ways wine is bought—”good” wine identified by a numerical rating in ignorance of the vineyard, the vintner and the vintage—a democratization that has produced what Baricco calls Hollywood wines, wines of little distinction or complexity meant not for the table but for sipping on an afternoon with friends. For Baricco these phenomena are not an occasion for judgment or hand-wringing. They are merely a “mutation.” We might see them as continuing from the collapse of “culture” as a value term, part of a world in which students now graduate with degrees in English having been required to take only one course in literature before 1900, and their professors argue that a requirement that all students study poetry would be “elitist,” not merely in the way all education necessarily is so, but in a way all right-thinking people must condemn. 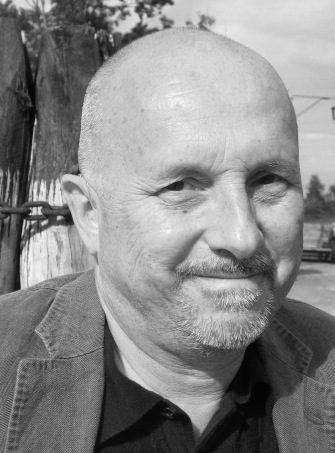 These are the phenomena that produce the vertigo of contemporary life, a vertigo that has become the subject and method of much contemporary poetry, so well-described by Tony Hoagland in a recent review/essay in the September 2010 Poetry. 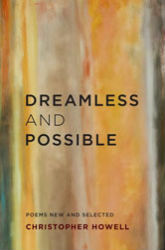 While Howell and Rigsbee do not take up such subjects directly, we can find in the work of both these poets a resistance, a repeated pushback against the rejection of hierarchy and depth, the literal-mindedness infecting both materialists and fundamentalists, the incapacity for ambivalence. We see it in their repeated references and addresses to the soul, to God, to some miraculous or mysterious or spiritual beyond that has traditionally helped us to face mortality and the stochastic brutalities and beauties of our world. The religious references seem less articles of faith than necessary fictions, required by the work at hand, even as both poets incline toward arguing for the solace of art. These references are also one dimension of the range and resourcefulness of these poets, whose poems are by turns comic, celebratory and elegiac, wearing lightly their learning and a wide range of allusions. They also share much subject matter, though one must admit that Howell has the corner on baseball poems and Rigsbee on Italian travels. I find both poets necessary in the integrity of their best work. before us in a shadow of the shadow of the light? “Deep” and its forms repeat in this doubting of depth. The “dear lady” and “the dear contused old man” belong to a more allegorical register, one of Howell’s less characteristic gestures, in lines that invoke our deepest human needs, our sympathies and affections. The myths of Orpheus and Plato’s Cave make their quiet appearances here, figuring our misguided faith in the movement from darks and shadows into light. Much of the power of the poem comes from the affirmation of “depth” it offers us while speaking only its world-leveling doubt. give back her life. Take mine. Nothing and everything, the language that connects us with others, that lets us imagine this world that “sways on its pins” and make a substantial life in it. The remainder of the book offers a generous and judicious selection of earlier poems, beginning with the collections The Crime of Luck and Why Shouldn’t I, whose somewhat guilty and contentious titles seem answered by the title of the current volume. The early poems reflect the poetics and the politics of the edge with the intensity, clarity of image and careful crafting of free verse lines that characterize the whole body of Howell’s work. Looking at the opening to discourse and narrative in the more recent poems, we may take special notice of the poems selected from Though Silence: the Ling Wei Texts and Sweet Afton. In both books Howell adopts personae – in Though Silence, he claims to be transcribing a 14th century Chinese poet he met by the Mill River in Massachusetts, whose muttered poems came to him accompanied by English subtitles; in Sweet Afton, he ventriloquizes the residents of a fictive Pennsylvania town submerged by a dam. Ling Wei allows him to inhabit a figure of wisdom in exile and gives him a vocabulary of ritual that we no longer have. The individual poems and the overall architecture of Sweet Afton have ties to Wilder, Robinson, and Masters (and the town’s name, of course, to Burns), as they involve us in a world of Victorian convention largely erased by what the historian Philipp Blom has called “the vertigo years,” 1900-1914, and thereby help us clarify by contrast where we are in our current historical moment. to tunnel through using a teaspoon. That’s how dead my brother was. We feel the force of the question in lines two and three in its displacement, from the death to the figure of teaspoon-tunneling, and the sense of more-than-a-lifetime finality in the unstated answer. Questions, too, can be unstated, masquerading as final statement: “Yeats was wrong when he wrote / that God talks to those long dead.” The answer comes slant, mediated by the observation of the red tower, whose pulsing light “raised no one,” and as a question, repeated: “if / God talked to the dead , what could / He possibly say to them? / What could He possibly say?” In the insistence of the doubling down we feel the double need of mortal beings who love – for some sense that those we have lost are not lost to silent oblivion, that we ourselves will not be so lost – along with the angry recognition that we cannot imagine what this more might be, what kind of satisfactory accounting might be given for the loss we are facing. The questions leave us in the grip of those tensions, unable to deny the need, unable to answer the question that might give hope of its being met. across the domestic space of the room. a young bespectacled mother puts out the wash . . . Here a graceful, painterly meditation, offered by an acute and unpretentious intelligence, one gentle, observant, and precise, suffers the charge of “pointless speculation” by the barbarian voice of practicality, of things, of doing-real-work, where the real always belongs to the lowest common denominator, not to the civilized refinements of this poet’s craft.. The closing assertion, “yet that is what I did with my life,” attempts no answer here beyond what it has already done, as if answering the charge by simply asserting, “I rest my case.” And having rested it here at the start, the remainder of the volume can engage without apology in such generous and deeply responsive “speculation,” open to the world in an inclusiveness of subject and scene and the careful weighing of each that are hallmarks of Rigsbee’s civilized art. This defense of his art is echoed in the poet’s nuanced defense of beauty. In “After Reading,” Rigsbee comes at the issue slant, wondering if “purity” of any kind isn’t a curse. He remembers “standing in the nave of St. Peter’s” and looking at Michelangelo’s Pieta and “secretly admiring / the madman whose hammer / chipped the same marble that made / Michelangelo such a monster.” The poem takes issue, it seems, with what we might characterize as the representative perfection of the Pieta, its flawlessness, hence its purity. And if beauty compels us with the promise of a more perfect world, then it is also beauty that the poem turns away from, as it suggests that “for humans / it better fits to turn away from the shore / in favor of the garbage and the grief.” As a critique of beauty, this might seem to belong to the leveling and horizontalizing of the barbarian: a rejection of anything beyond. And yet the admiration for the madman is described as secret, even in this post-Freudian age, and the poem’s civilized contemplative mode embedded in the world of reading, art, and religion it does not reject. Another turn on the theme of beauty comes in the poem, “Rorty,” recalling Rigsbee’s friend and mentor, Richard Rorty, that closes with Rorty’s memory of a class taught by one of his mentors, Allen Tate, and “how each class / consisted of Tate reciting a single poem, / in his sonorous, waterlogged baritone, / then pausing, adding, “Isn’t that beautiful?” Rorty’s celebration of Tate’s elitist pedagogy – “elitist” in the negative sense of speaking only to those students who can already recognize the beautiful of Tate’s tradition without instruction – is juxtaposed with Rorty’s own democratic and pragmatic philosophical commitments. Which is the civilizing work here: the aesthetics or the politics? Which is a leveling of civilized distinctions? Our inconsistencies, the poems seem to say, are what make us human. As does the love of beauty that would make Platonists of us all. The selection that follows Rigsbee’s powerful new work gathers poems from seven previous volumes, including selections from a number of longer projects. Two are sonnet sequences where his self-described “formalist tendencies” are on display, both in his use of the fourteen-line form and in his further concentrating the sonnet’s compression, in a rich and demanding condensation at the level of image and phrase. “Sonnets to Hamlet” takes as its occasion a fire in a chicken processing plant in Hamlet, NC, in which 25 workers lost their lives due to the plant’s policy of keeping all doors locked to prevent theft. One feels in these poems a human solidarity that refuses to reduce the dead to victims, one that moves toward the consolations it finds in the music of the town’s native son, John Coltrane. “Cloud Journal” is dedicated to the poet’s mother, whose last days provide less the occasion than the spur for meditations on mortality and all of its time-frames. “Four Last Songs,” a poem nearly twenty pages in length, sweeps over the page-as-field, juxtaposing voices in an elegy occasioned by the suicide of Rigsbee’s brother. Having begun with Baricco’s I Barbari as context is discussing these two books, I want to turn briefly at the end to Cavafy’s poem, “Waiting for the Barbarians,” a poem belonging to the era historian Philipp Blom has called The Vertigo Years, the first 14 years of the 20thcentury. In contrast to Baricco’s barbarians ‘r’ us, the poem on first reading seems to belong to the common imagination of barbarian-as-other. “What are we waiting for,” the poem begins, “assembled in the forum? / The barbarians are to arrive today.” But as the poem progresses and we find the senators making no laws until the barbarians arrive, the orators silent so as not to displease the barbarians, the Emperor and others dressing to please them, it seems more and more clear that the distinction us vs. barbarian is moot: though the barbarians are not here, all are acting as if they already were. The terrible irony of the end, when it is discovered that the barbarians will not come because there are no longer any left, is that there are no civilized Romans left either, because they have become indistinguishable from the barbarous. As the poem says of the barbarians, “those people were some kind of solution.” Yes, the necessary Other to the civilized. More than 100 years after Cavafy wrote those words, Baricco has come to remind us that we are the barbarians our Roman ancestors were waiting for. Such achievements are not so common as we might wish. At roughly 200 pages of poems selected from seven or so more previous volumes, these books give us substantive and thoughtful condensations of work to date. The poems deepen rereading after rereading, and leave us both satisfied and looking forward to decades more work from these two fine poets. Robert McNamara has published two collections of poetry, Second Messengers (Wesleyan) and The Body & the Day (David Robert Books). The recipient of fellowships from the National Endowment for the Arts and the Fulbright Scholar Program, he translated with the author, Sarat Kumar Mukhopadhyay, a volume of selected poems, The Cat Under the Stairs (EWU Press). His third book of poems, Incomplete Strangers, will be published by Salmon Poetry in October. He teaches in the Interdisciplinary Writing Program at the University of Washington.